It all started out with two gym rats who were tired of eating the same old choices to get their protein. So these two gym rats thought of all the yummy things they craved, and decided, why can’t we add protein to them? 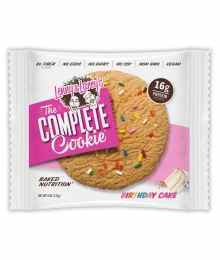 Since that time, Lenny and Larry’s have been actively experimenting and reformulating to keep the same great taste, while enhancing the quality of their ingredients to ensure that as many people can enjoy their baked nutrition products as possible.